There are a few tools that I found very useful as a self builder (which are free). One such tool is Evernote. As self building involves plenty of research and the need to access information. This tool has proved invaluable for me to store information, share information, find information and make it accessible on a smart phone, any computer and automatically back up the information (nothing worse than loosing or not being able to find information). It also allows one to take pictures and have these stored in the same place. 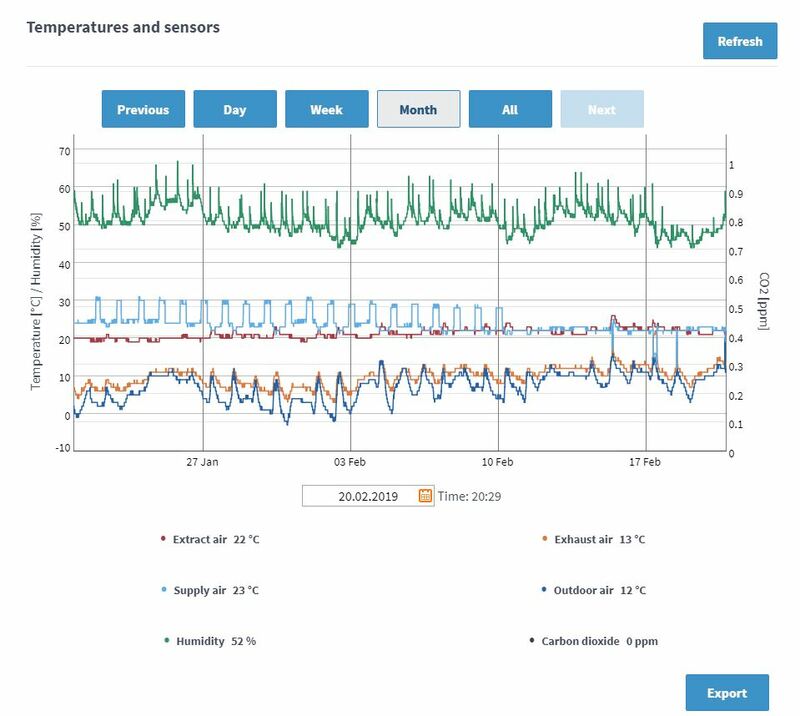 All one needs to do is tag the information (a tag example could be the word insulation) -when you store the price/information you found on the internet about insulation it is stored with this tag and any other insulation data found over time. All pdf documents (these are usually research papers) can be stored also. There is an option to buy the premium version at €40 a year then the individual pdf content of the documents can be searched. Another tool is Autodesk Design Review 2013. This tool allows you to open autocad files that your architect or engineer may have used for your build. It also allows you to edit these with your comments , take measurements of the drawing and draw simple shapes to highlight issues. Another tool worth mentioning is Autodesk DWG Trueview. This is more similar to Autocad as it is mainly a viewer (allows one to open files). 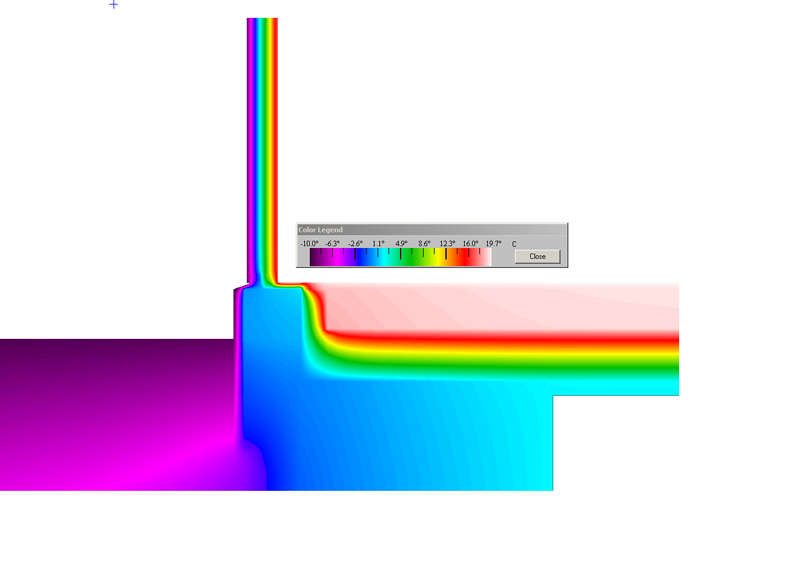 A tool that allows one to calculate the heat loss of thermal bridges is Therm. It was developed by Lawrence Berkeley National Laboratory (LBNL) and again it is free. This tool will show you how cold (and the heat loss) your floor/window reveal etc is going to be near outside walls and the actual performance value so that the real heat loss can be calculated. (One can easily get a feel of the importance of this detail and the energy lost if you see mold/condensation around windows/doors etc ). This software will show graphically how much heat is lost (once calculated) and the temperature/heat loss you can expect on details such as window frames, door thresholds, the steel ties in your block work, the steel beam sitting on your inner wall or foundation etc. There are two parts to calculating the actual heat loss – the first is drawing the detail (fairly simple and involves time) and the other is the actual calculation (tricky I feel for a self builder). If one draws the detail this can save costs if a third party does the calculation for you). 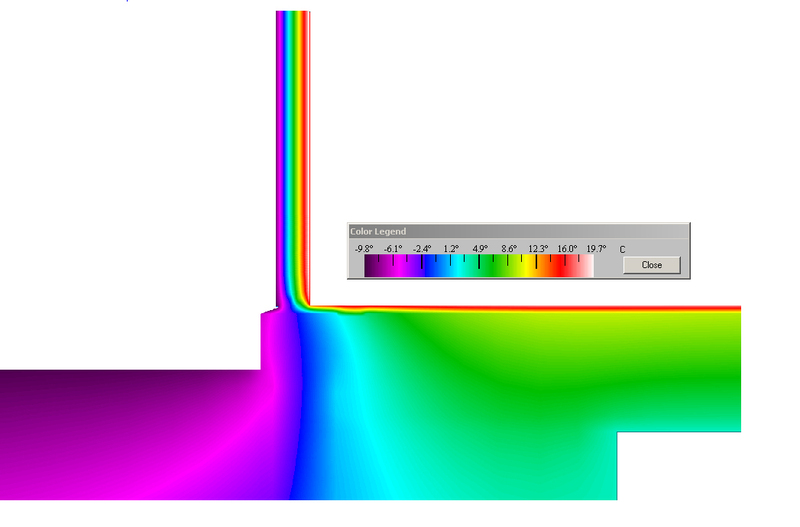 Thermal image of temperature changes in a foundation with low heat loss. The right hand side is the internal floor. The blue, purple and green colours are low temperatures. The green colour is 5 degrees Celsius. The above foundation with no insulation. The inside floor has a high heat loss when the inside room temperature is 20 degrees Celsius. The small red line on the floor shows a wooden floor installed thus delaying the heat loss. This tool allows one to model in 3D your house design and carry out a walk through to get a feeling of the internal or external design. It also is used by the passive house institute on their energy balancing software PHPP so it is a worthwhile tool to learn. Other than a smart phone which is a real help when one wants to send/receive files, images or emails and keep things moving on site a device called the Samsung Note 10.1 (2014 Edition) makes documenting ideas and drawings a great resource while on the move. It is only one of a few devices that has a real pen and sketch pad that allows one I feel to replace a piece of paper because one can rest your palm on the screen like a piece of paper and write or draw.